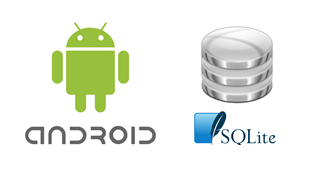 When implementing a database on Android, a common practice is to create a class which interacts with the SQLite database and also with the activities of the app. 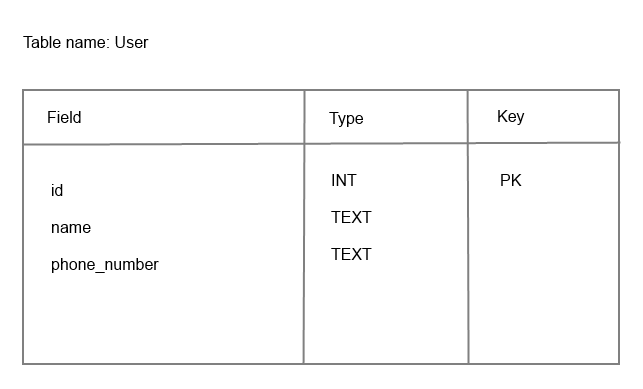 This class is called DBAdapter and contains all the necessary code for creating the tables and the assigned fields. 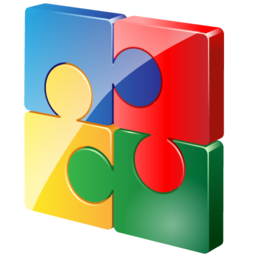 All of the operations regarding for inserting, updating, and deleting records are in the DBAdapter. 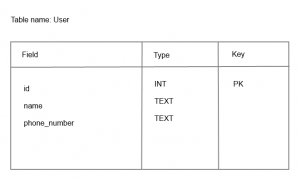 The SQLiteDatabase class is used to create a SQLiteDatabase object. This object uses the DatabaseHelper object to open the writable database. 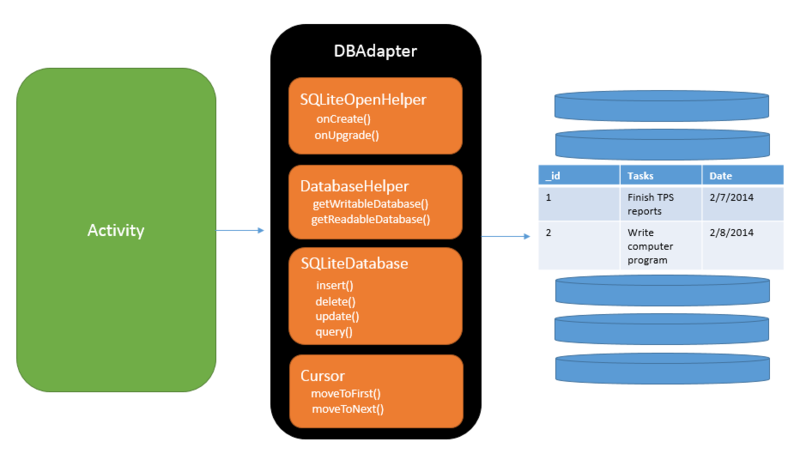 The SQLiteDatabase object can then use the standard insert(), update(), delete(), and query() operations to manipulate the records within the database table. 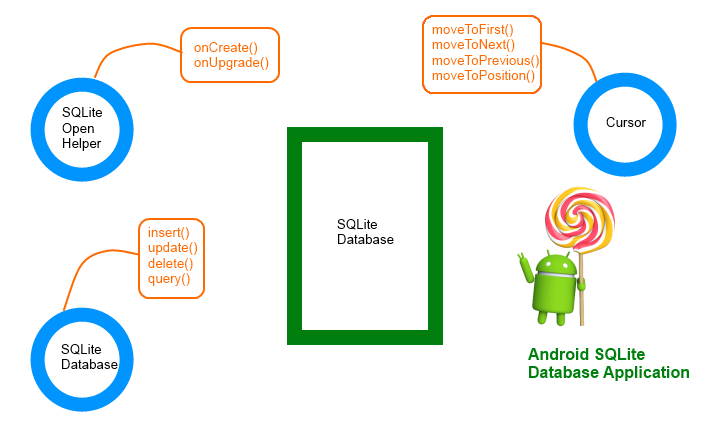 To navigate on the queried database records Android provides a class called Cursor. More details on that here. The class contains the methods: moveToFirst(), moveToNext(), moveToPrevious() and moveToPosition().